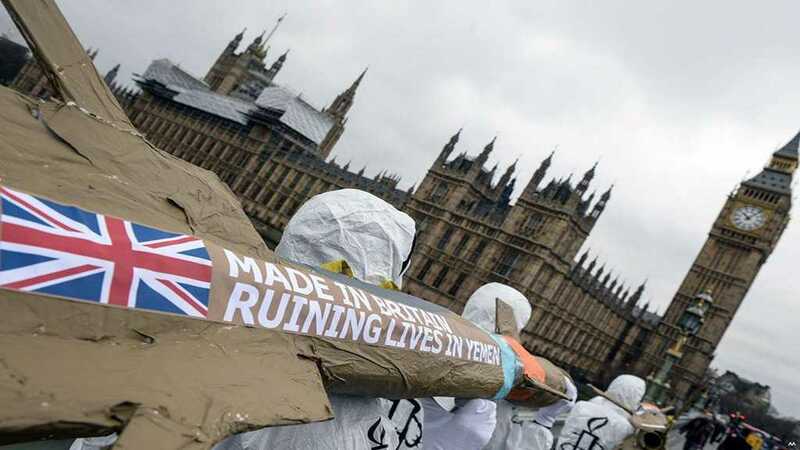 Five opposition parties in Westminster have called on the UK to end arms sales to Saudi Arabia on the fourth anniversary of the Yemen war, saying it has contributed to a catastrophic humanitarian crisis. The UN special envoy for Yemen, Martin Griffiths, is due in London this week to discuss his efforts to enforce outline agreements on a redeployment of forces in al-Hudaydah, the strategic Red Sea port that lies at the heart of the Saudi-led war. In their joint letter to the foreign secretary, Jeremy Hunt, the opposition leaders, including the SNP leader in the Commons – Ian Blackford, Labour leader Jeremy Corbyn and the Lib Dem leader Vince Cable, say it is shameful the UK government has not used all means at its disposal to put pressure on Saudi Arabia “to abide by basic human rights laws”. It said Germany, Spain, Denmark, Canada, the US Congress, the UN human rights council and the European parliament have all called for a suspension of arms sales on this basis. “It is morally reprehensible that the UK government is not only not considering changing its policy, but is actively lobbying other foreign governments, as it did with Germany, to resume arms sales to Saudi,” the letter said. The authors describe Saudi behavior in Yemen as reckless and barbaric, saying all arms sales for use in the country should be suspended pending an independent investigation into Saudi conduct in the war. They add that despite British claims of leverage over Riyadh, there is no evidence that Saudi behavior has been restrained. Michelle Bachelet, the United Nations high commissioner for human rights, warned that children in Yemen continued to be killed and maimed at an alarming rate, despite the three-month-old truce in al-Hudaydah. “Since the Stockholm agreement on 13 December, it is estimated that eight children have been killed or injured in Yemen every day,” Bachelet told the UN human rights council on Wednesday.